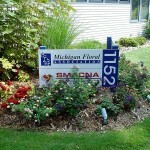 Welcome to the Michigan Floral Association online storefront where you can purchase MFA products and services online. Click on the item icon link below to get started. Please call the MFA office at (517) 575-0110 if you have any problems or questions.